When Fidel Castro figured out how to legitimately hand over the reins of authority to his younger brother Raúl on February 24 of 2008, it would have been against the law for Fidel to inform his brother through a mobile phone. 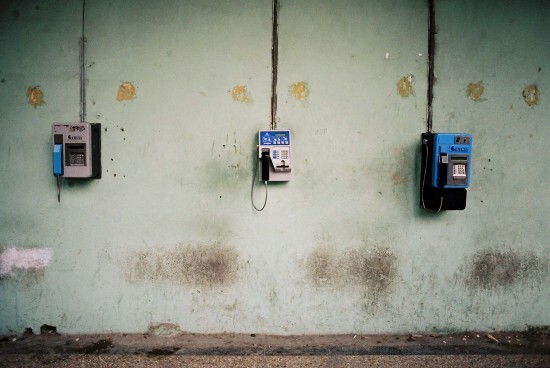 Over the span of his half-a-century rule, Fidel aggressively protected the restrictions he placed on Cuba’s 11 million citizens which included ban on owning a cellphone. He said these were essential sacrifices in the “battle of ideas” against the enemy i.e. United States. 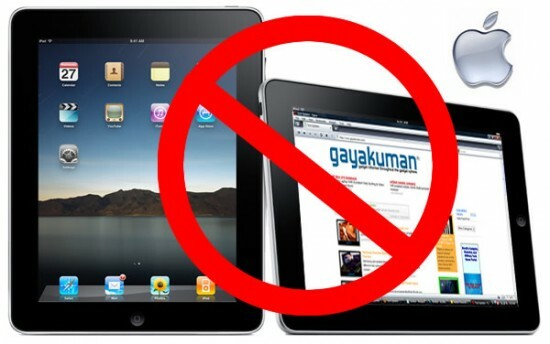 Israel is home to some of the most advanced technologies in the world, but its gadget geeks exuded for two weeks in April, 2010, when Tel Aviv banned the use of iPad on Israeli soil. During enactment of the law, any passenger landing in the country with the gadget would have it seized and made to pay $12 a day storage fee. State authorities claimed that the Wi-Fi functions of the iPad matched the U.S. standards, not the European ones in effect in Israel, and therefore posed a potential danger to the country’s military frequencies — an assertion with modest proof. The ban was lifted on April 25. 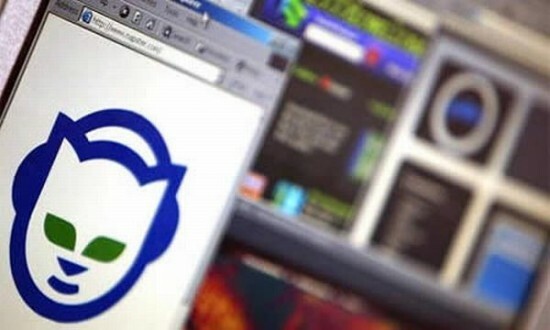 Thirty-four percent of U.S. colleges and universities have banned the music file trading program Napster for Internet users surfing over campus servers. As students return to campus from summer vacations, college administrators wrestle with the legal and ethical questions surrounding the controversial program from Napster Inc. and its ban. You must have noticed your university professor giving lectures using PowerPoint and using laser pointer to emphasize something which demanded greater attention. You could have one on your key chain and confuse your boss in a budget meeting. You could point to the constellation Orion with it or you could point it at your kids. You could even use one to ward off bears while camping. Or you could shoot the laser at a soccer goalie in the eye during a World Cup qualifier (Saudi Arabia vs. South Korea, 2008) or possibly point it at passing planes. In the year 2008, Australia and most of Europe banned the use of laser pointers. A few of these are ridiculous and some are just common sense – the laser pointer one, as the last few uses of it pointed out (pun not intended). Aw, this is dumb. I thought you said TECHNOLOGIES, not screwy little applications for technology. I thought you were going to tell us about amazing breakthroughs that governments did not want us to have, instead you whine about music machines and street cameras? Much ado about extremely little. We still have Blackberry here in UAE. The government threatened to ban them unless blackberry gave them the keys to their encryption technology and like a boss BB told them to blow it out their sandy backsides. Ban goes into effect in October. Color of the laser indeed has nothing to do with laser power. Lasers come in many colors and power. At the moment, 445nm (blue) lasers are the most powerful a readily available. But that is just a situation on the market, next year it might be red, or green. Most bans specify power of the laser. Usually it is 5mW, like in Australia. Only stronger lasers in hand-held pointer from are banned. Weaker pointers are not banned. 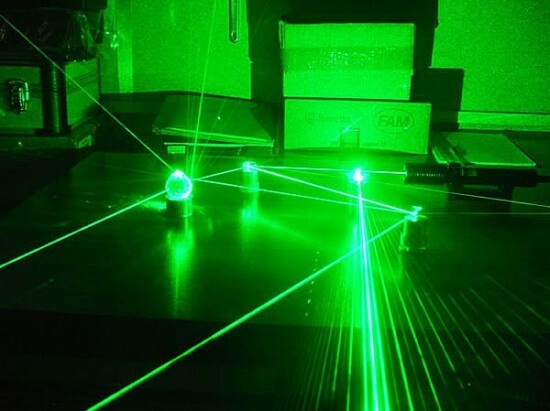 Stronger lasers in different form, like disco lights, are not banned. Also for actual pointing on the table or stars, 5mW green is all you need. Anything stronger is dangerous to sight, and with level of idiots around it should be banned. laser pointers are not banned any where! in any country! maybe from a few schools here and there but, just no! AFAIK class 2 laser pointers are legal everywhere. Class 3 (> 1 mW) pointers are dangerous and rightfully banned or restricted in some countries. Just to make a comment on your piece about Pakistan banning Facebook. I was a bit of an advert for islam masquerading as a piece on another, unrelated subject. And for my tuppence I think that you may need to re-read the historicity of that religion,”indubitable authenticity” it certainly has not. its as reliable as any other superstit…sorry religion. Its “genuine literature” is anything but. I don’t want to just bash your writing but I think that you should be a journalist and stick to reporting on why Pakistan banned facebook and not get sidetracked into a piece reassuring yourself that your belief system is the correct one. You have made a clear and unambiguous statement that could have been, and certainly should have been checked as it is easily proven to be incorrect before you submitted it. But hey, who cares about facts on the internet? Well I bloody do. Morons like yourself spread misinformation with zero respect for accuracy or honesty and are doing humanity nothing but harm. Maintenant, ce sera mon chaton jouer avec? This is why I love and still use Blackberry. Anyone who stands up to those stinky, hate mongering towel heads has got my business. My tin foil hat will protect me,it blocks all atempts by face book,goverments and asians to read my thoughts(as well as extra terestials)So stock up on tinfoil,it works. blackberry is NOT banned in saudi arabia or uae. I think you should have mentioned the norwegian ban on skateboards as well. Best of luck enforcing the use of laser pointer bans. I’m still reverse engineering one. we should ban sand niggers in europe, would be fair too, if they call us filth lovers…. That is a revolting racial and/or religious slur. Why insult people on the basis of their phenotype? or for that matter on the basis of which imaginary and all powerful friend they want to appeal to as a figure for comfort when life is hard? Their giant parent in the sky? When white Europeans (my own background) were one step past throwing rocks at each other, and had no written language, and spent their time in tribal warfare – way BEFORE the Romans chose to act like the bad person in “THE TEMP” or “Hand that Rocks the Cradle” and turn their nation into Sparta (while claiming that they hated Sparta) – several other large scale empires *with* written languages and mathematics and massive architecture existed in other parts of the world and had long since fallen into dust and been forgotten. A whole lot of others got revisionist history. Those Philistines you read of in the bible – they were the Phoenicians (the most advanced navigators of their day). And the Jews, they were the Canaanite Hill People and were NOT monotheists (JEHOVAH had a wife – it is on the burial markers). And the people of Israel NEVER were made into slaves in Egypt (but were enslaved in Assyria and in Babylon). There was also an era BEFORE Islam became a mirror to the Holy Roman Empire (without a hierarchy of Mullahs to tell people what the Koran meant) – you know – back when people still remembered that Muhammad had told them not to EVER have a hierarchy of priests???? Just as Christ had (supposedly) also said never to call any man by an honorific like “Father” as a leader??? Islam and Christianity were both just the religions of individuals. I hate the fact that after the death of Muhammad (which strongly said he was the last one and nobody would follow in his place) – that his family members grabbed for the power. I am no fan of the religion either, but POWER is nasty. At first Christianity had no : Hell, no Virgin Birth, no Birth at the Winter Solstice, no divinity of Christ, no physical rising from the dead & for many the belief was that he lived through the crucifixion because MOST PEOPLE DID live through the Roman method. It was a terrrible torture – NOT a death sentence. There is proof in the BONES of those who survived. Old very early Christianity was different. They were communal and had no evil being called the Devil, no trinity, etc. All that junk got added by Constantine. He wanted a political racked to prop up Rome in its decline. A way to have an empire without its own huge military. He invented a spiritual empire built on a protection scam. He made one large religion – a single one under the name UNIVERSAL (A.K.A. ‘CATHOLIC’) CHURCH (catholic means universal) by grabbing pieces of Mithra, Dionysian, Christian, Diania and others – and held a big meeting of Christian elders and gave them a new set of rules a CREED – and none of them believed in most of it – but it gave them POWER. The ban on headphones and portable audio players seems to be nothing less than common sense. I see runners, and even cyclists, constantly running\riding with some form of audio device playing – albeit cranked up or just at a moderate to low-level. Either way, it definitely reduces your awareness to your surroundings and inhibits your ability to discern approaching vehicles and other dangers. And yes, I am an athlete (cyclist). And no, I do not ever use any type of audio device, when I cycle, for the very reason(s) listed above. music can be more safely piped through bone connection, and has been for a long time. THis method does not isolate the user from other sounds. They should ban cancer causing agents in our food supply. “Governments” didn’t ban several of these. Pakistan has blocked youtube as well, and the ban is still on. Pakistani authorities are in talks with google to establish some sort of filter in Pakistan to screen videos which might cause unrest in country. Facebook ban was lifted after a month or two! As far as Google Street View, what’s the difference between a car with a camera and a tourist with a camera? What would a person see on street view that they would not see just driving down the same street? I guess Greece and Austria will ban eyeballs next.
? Street view still exists actually. I was just on it yesterday. When I was a kid my mother told me I needed my head examined. Went to a doctor he found nothing. I don’t need an aluminium foil hat against aliens reading my mind. If the zombies come after me they will all die from mal nutrition. So there.